Moderate rain (totál 19.0mm), heaviest el lunes por la noche. Very mild (max 12°C el domingo por la tarde, min 4°C el domingo por la noche). Wind will be generally light. Heavy rain (totál 28.0mm), heaviest durante la tarde de miércoles. Later becoming colder with a dusting of snow el viernes por la noche. Freeze-thaw conditions (max 10°C el jueves por la tarde, min -3°C el viernes por la noche). Wind will be generally light. La tabla anterior muestra el pronóstico de tiempo para Grimentz en la altitud específica de 1571 m. Nuestros modelos meteorológicos sofisticados permiten prever pronósticos para la cumbre, la mitad y la base de Grimentz. Para aceder a los pronósticos de tiempo a otras alturas, pinche en la navegación en la parte superior de la tabla. Para una visión general, consulte el Mapa meteorológico de Switzerland. Just back from a wonderful long weekend in Grimentz. 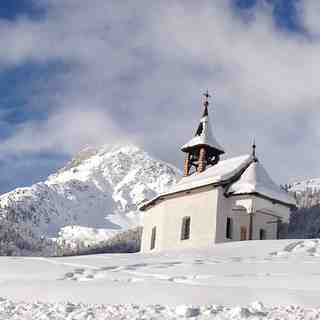 An ideal village for 3 days skiing but probably not big enough for a longer visit if you like clocking up the miles. Stayed at the very hospitable Alpina Hotel right next to the lifts to both Grimentz and Zinal. 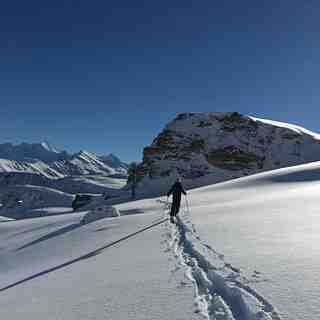 The piste conditions were very good but off-piste was crusty and tracked out. The skiing was fantastic with great descents over long well groomed and mostly deserted runs. Lona is stunning top to bottom! The Alpina was a great place to stay with good food and really nice staff. We loved the quiet ambience of the village and look forward to returning soon.